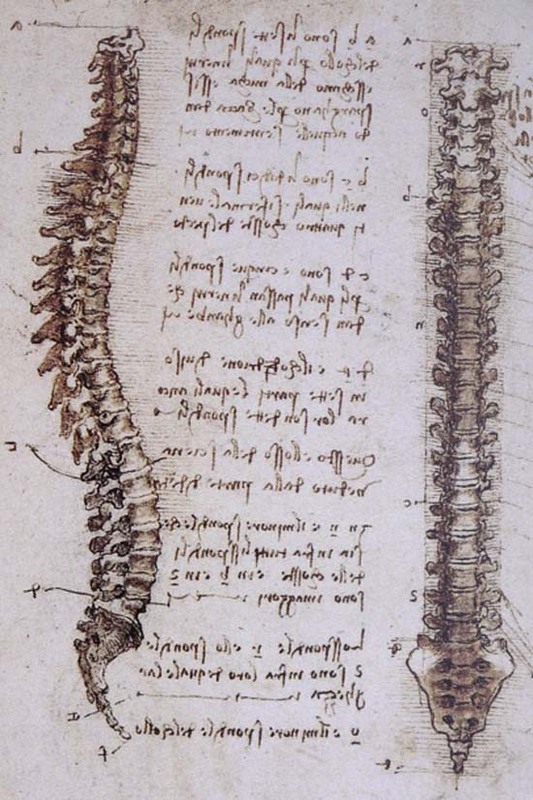 Creative Sketchbook: Leonardo da Vinci's Anatomical Art! 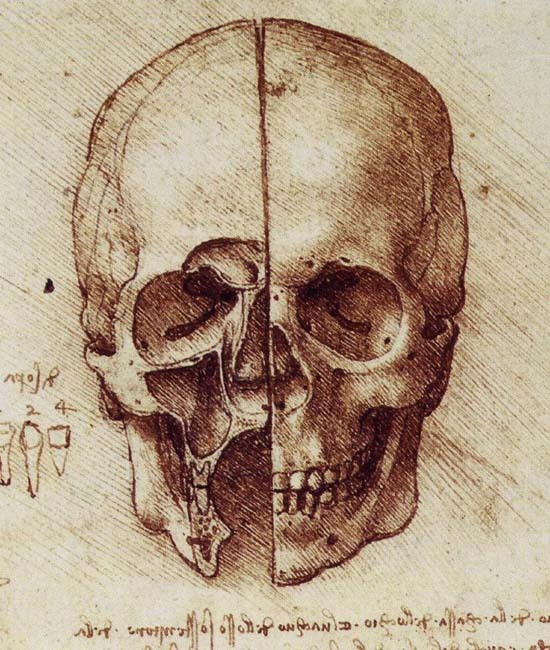 The famous Leonardo da Vinci was an Italian scientist, mathematician, anatomist, painter, sculptor and writer to name but a few. Leornado is particularly famous for his world-renowned paintings, and has been said to be the most diversely talented person to have ever lived. It is his structural drawings and notebooks that personally capture my attention the most. 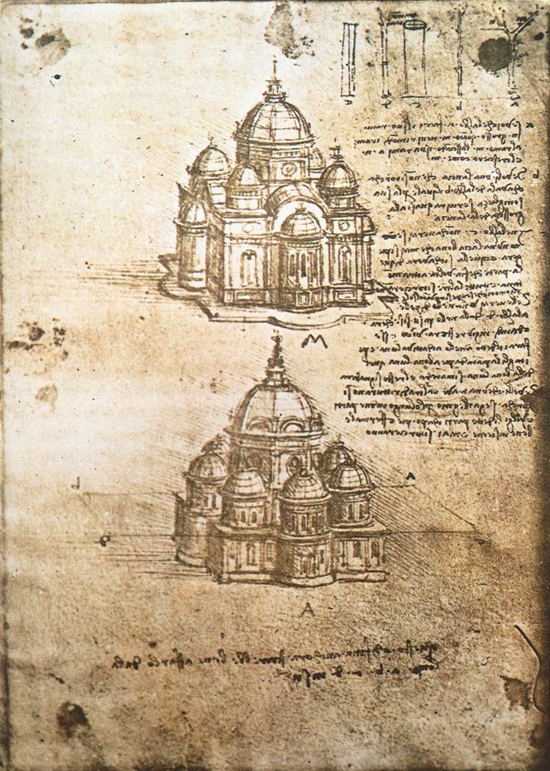 Leonardo kept journals full of stunning small sketches and detailed drawings to record a wide range of imagery that inspired him throughout his travels and life. I love the atmospheric qualities in his work including the simplicity of monochrome drawings in contrast to the now aged papers and parchment. 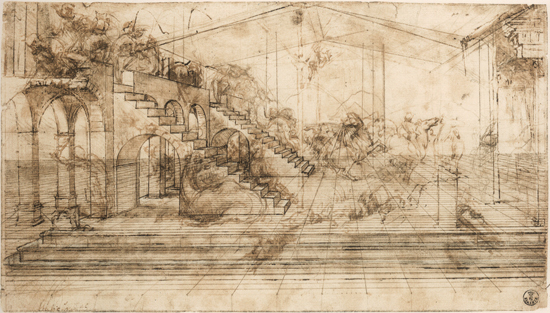 The textural scratchy pen and ink lines, varied quality of line and sketched style of Leonardo’s drawings make them distinctive and irreproducible in my eyes. 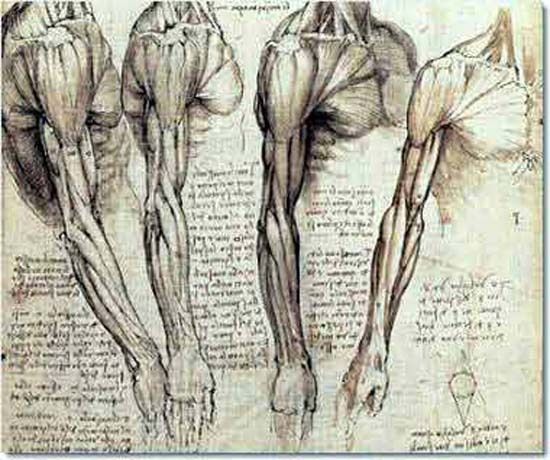 Leonardo’s formal anatomical training is evident in his intriguing studies of skeletal structures, muscles and tendons that I have included below. 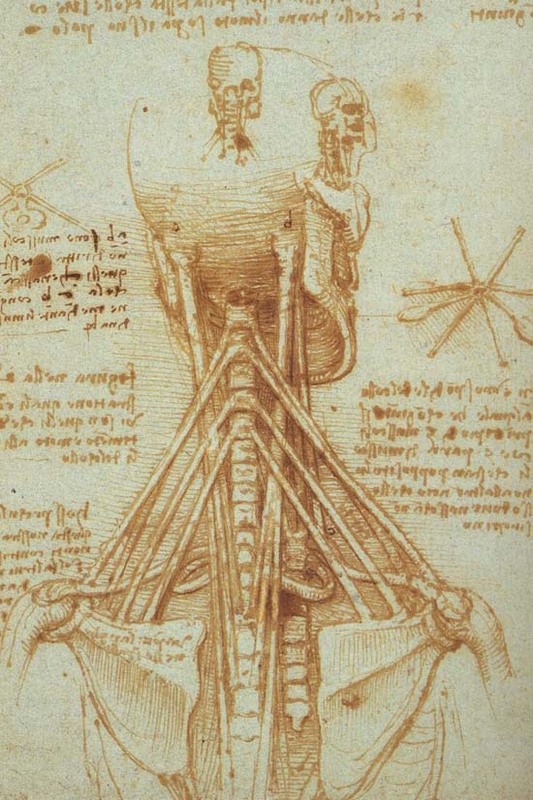 His studies of the proportions of the human body are particularly famous and his illustrations are scattered with written notes and information that add an additional interesting element to his work.